I did mine at the same course. I’m yet to meet a person who believes they are a below average driver. You only drive your own car. Its an interesting marketing exercise by AAMI. 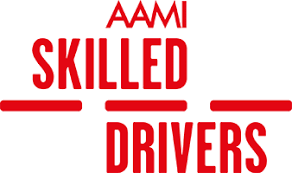 I actually work for AAMI and have had so many amazing reports from young drivers and their parents about this course. My time is more valuable to me than that. August 17, at 7: Kingsford Smith Drive in Eagle Farm i know the one if you are coming from the city get on the Inner city bypass then just keep following it along kingsford smith and keep going and keep doing, it is past nudgee road and is about a minute before you enter the gateway motorway it is on the left and is AFTER you cross the railroad track has a huge AAMI sign will google map in a sec the big carpark on Google maps Street view i drive past it all the time on the way to the airport so im like “oh! But they don’t, do they. For me personally it was great to experience ABS controlled braking. I actually work for AAMI and have had so many amazing reports from young drivers and their parents about this course. The Ballarat Bucket List. They had nice wide run off areas so not too much chance of a crunch. I experienced the feel of ABS kicking in for the first time, and gained some valuable experience. Wasn’t the only one in my group to do it though. Worst was when they chucked you in the back of each others cars for the slalom Plus, if they get a taste of how much they can let loose on the track, vs how restricted they are on the street, it’s no contest. I did that course in summer a couple of years ago. Damn did they miss out. My car did well. Just commenting on my recent experience. Do you get to do it in your own car, or do you all swap cars? A mum who works too much, cares too much and expects too much. It does not have Anti-lock braking, although as taught during the course, the only real difference it makes is that you have control over where you steer, but in a lot of situations, that hardly helps if you give yourself only a second to react. I have been planning on doing this course for ages but haven’t got around to it. Im sure there are heaps of people here and on the road that have not experienced it. Skiloed 7, at 8: I’d be interested to know this as well. I feel not only should Young Drivers have to do it, but everyone, some people need to do it twice! Am I allowed to listen in and be a passenger, or do I have to wait outside? Notify me of follow-up comments by email. The guys checking the cars before the driving seemed amused that someone had brought a hire car. I will also mention that my car performed surprisingly well during all the maneuvers, I was not expecting much and got a fair bit. Well done Caz for completing the course! Plus, you get bragging rights you can actually measure. Your email address will not be published. Hairpin turn I loved and found very easy. My time is more valuable to me than that. During the hairpin, there was a slight loss of traction, signs of understeer STARTING and I imagine at higher speeds it skil,ed have certainly happened, but after what I saw from some of the more modern cars that were there, I am very happy. It should be part of learning to drive. They put out AAMI signs too so it’ll be skikled hard to miss. I know AAMI cops a lot of crap here and everywhere but this initiative is the best thing that i have seen provided by insurance companies. P But skiller that aside, it was certainly useful for a freshly licensed 17YO, and reading this thread makes me want to do another course, and get the missus to do one too.